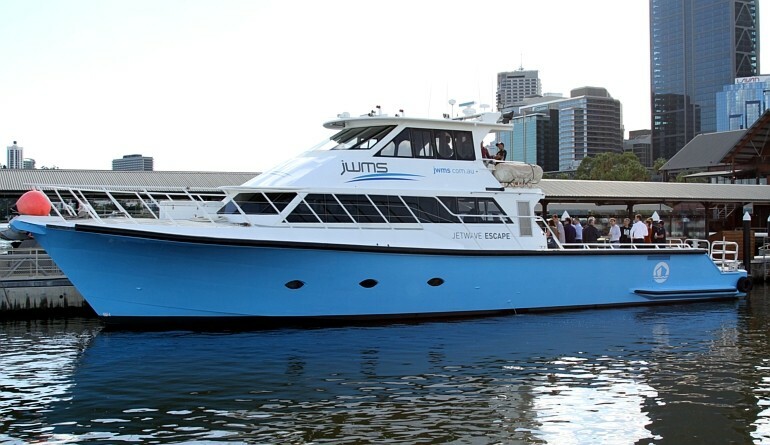 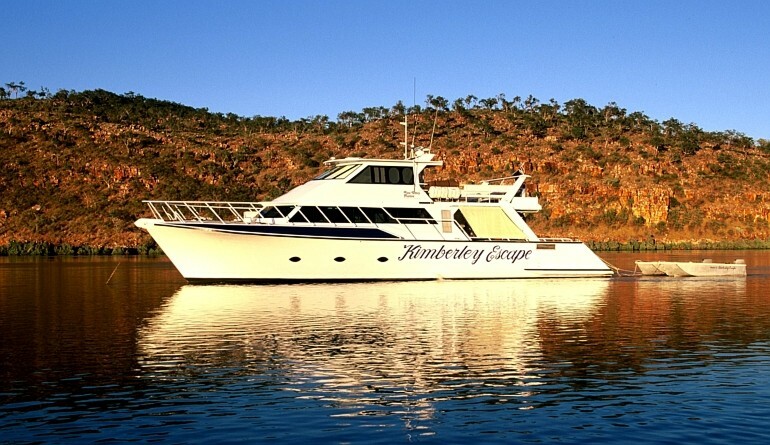 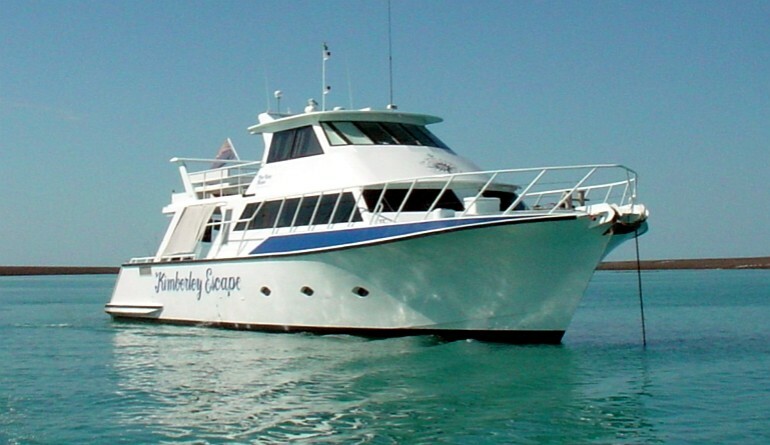 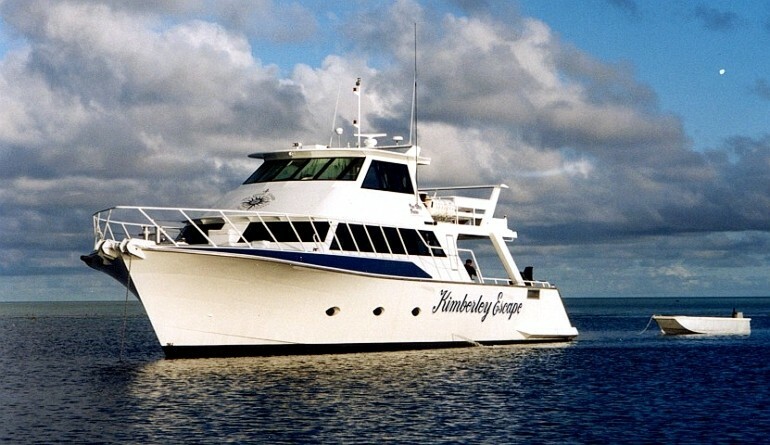 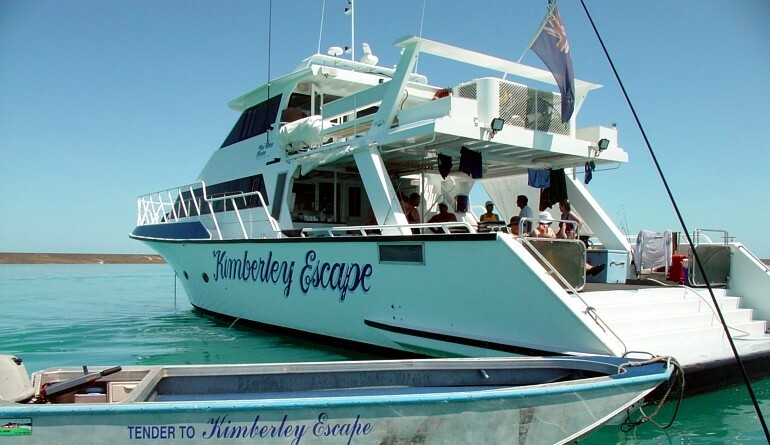 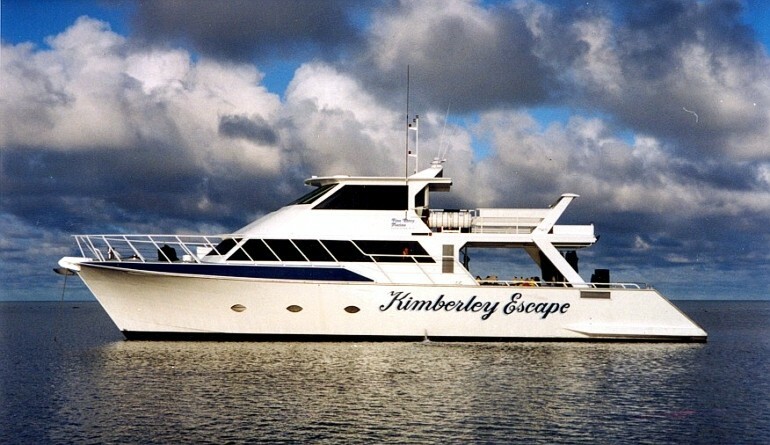 Built in 1999 for the Great Escape Charter Company, the “Kimberley Escape” has quickly established itself as one of the highly acclaimed charter vessels operating in the Kimberley region of North Western Australia. 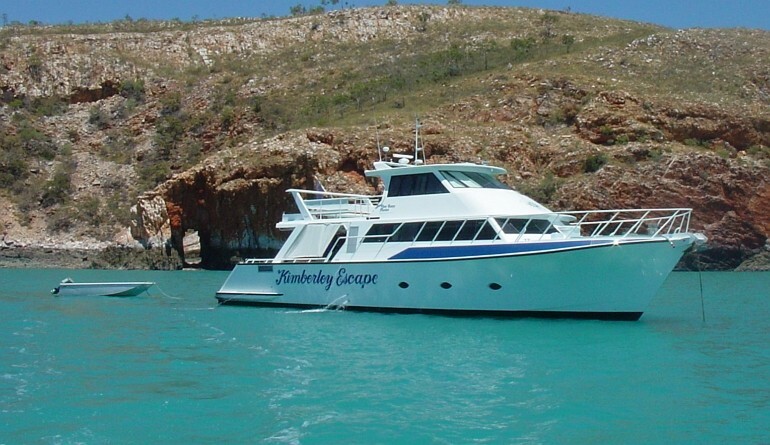 Sleeping 16 plus crew, with a continuous cruising speed of 16 knots and a range over 1,500 nautical miles, this vessel is packed with usable features and performance. 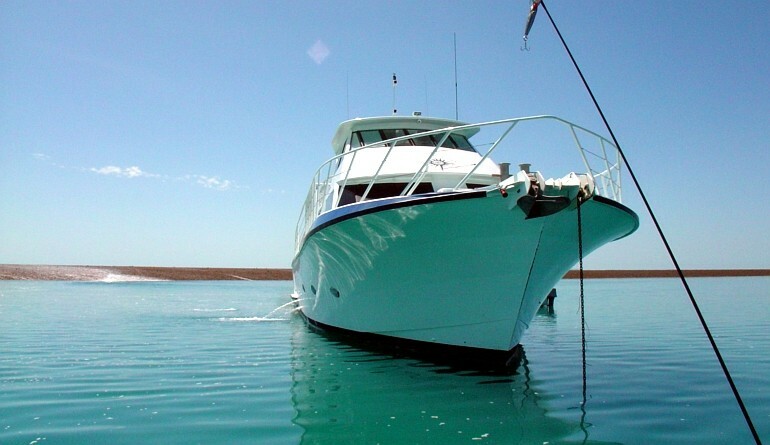 With twin keels, this hull has excellent following sea tracking, while also allowing for grounding, providing good protection to the underwater gear.The propulsion package consists of twin MTU 8V183 TE92, delivering 660 BHP each at 2300 RPM. 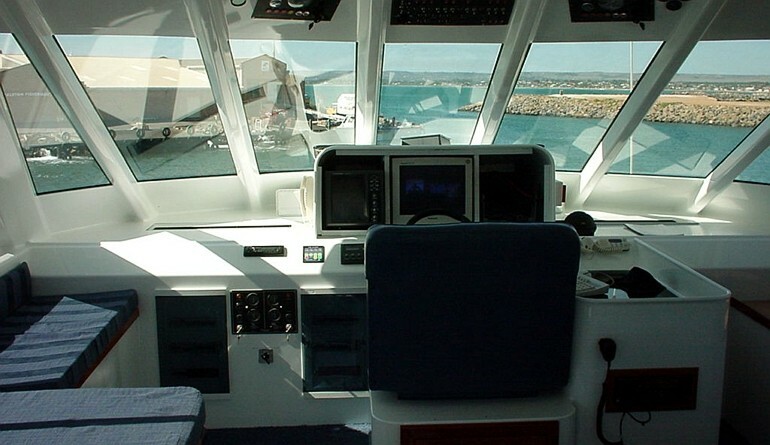 These are coupled to Twin Disc 5114A gearboxes with a ratio of 2.54:1. 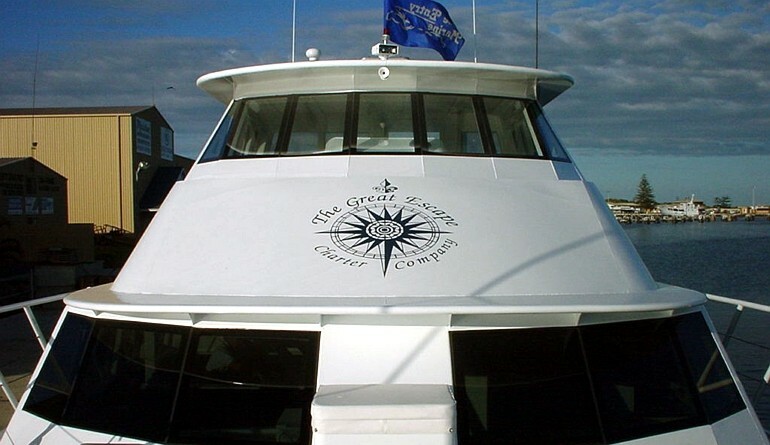 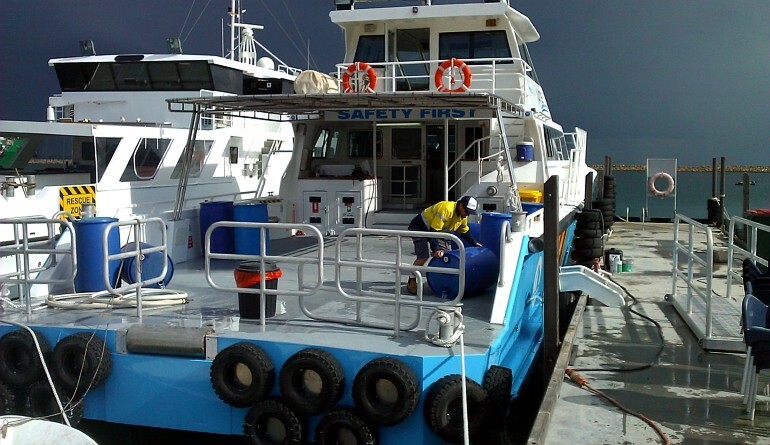 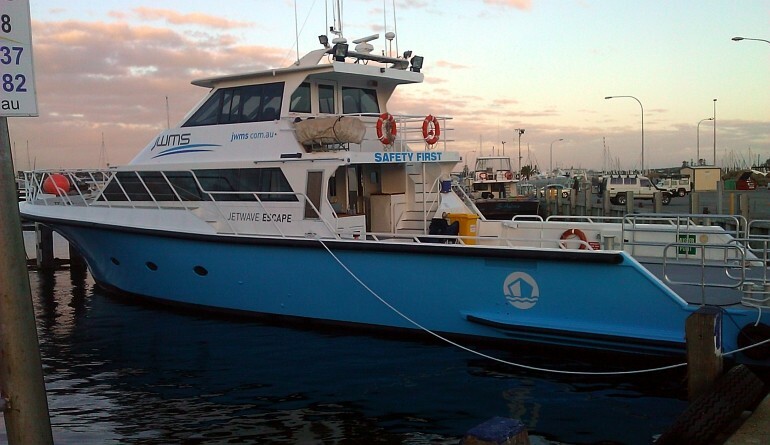 The original vessel application was extended dive and eco-tourism charters, providing a high level of comfort. 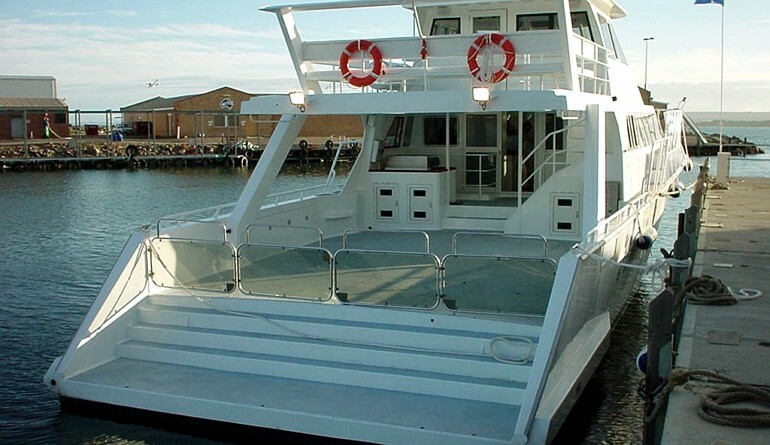 The vessel features a stepped aft deck with barbecue, removable dive seats and can carry three of the GMD custom designed punt dinghies. 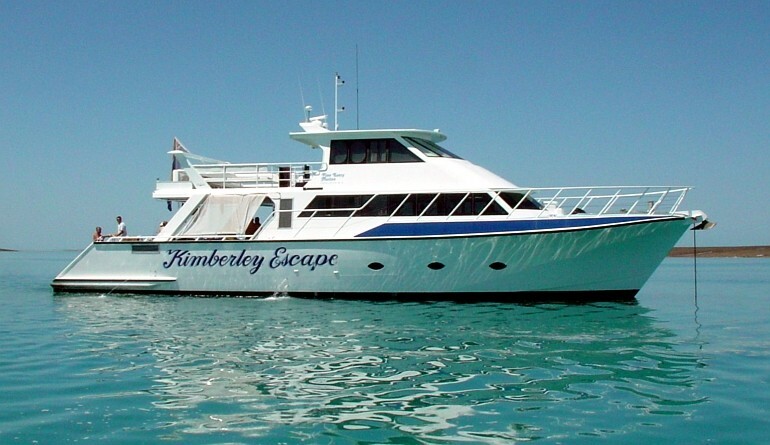 In 2012, the “Kimberly Escape” was refitted as a very comfortable and capable offshore work boat for Jet Wave Marine Services and was rechristened as the “Jetwave Escape”. 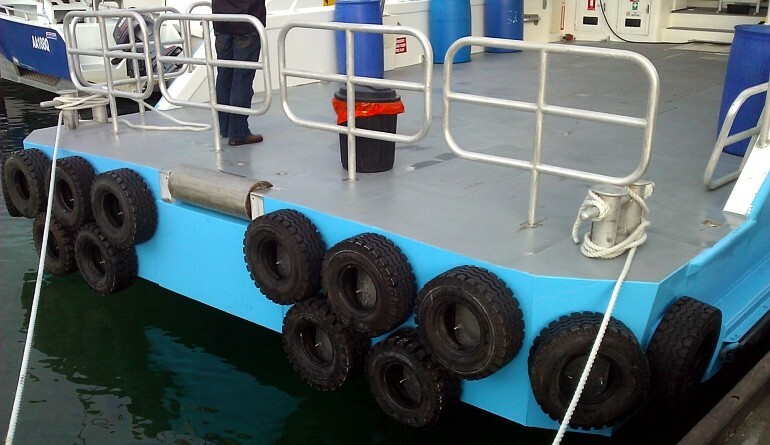 The seamless transition shows the great versatility of this well proven Marine Kit.